The choice in our house was to not have a television in the room where we eat. Dinner is the only time when the family gets together and it is a time when we can talk about the day’s events, problems, but also funny and entertaining things. It’s also a time when we can create new projects. For this reason, during dinnertime, it is only necessary to have good food, a beautifully set table, and nothing more. Still it may happen that you wish to stay on the couch watching TV, because you don’t want to miss a program or game. In these cases, crostini or “little toasts” are a healthy, convenient, and fast way to create dinner. They may also be useful as a simple appetizer when you have guests. There are many ingredients suitable to make crostini and occasionally I come back and retry them with different variations. 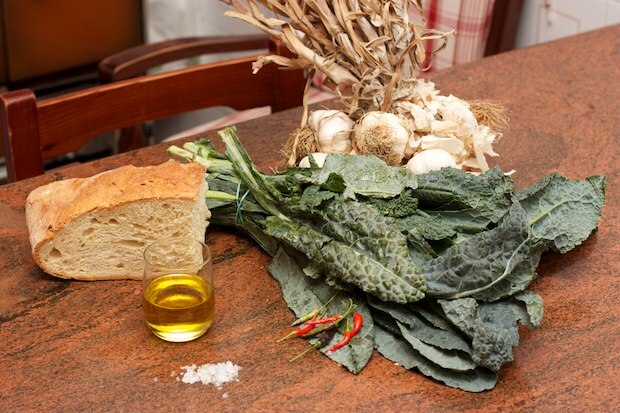 This recipe presents three different types: two simple crostini using ingredients already prepared and another which requires a more elaborate cooking for the vegetables. It is crucial for the success of crostini use a good quality bread. Ideally a loaf of rustic Tuscan style or crusty Pugliese bread is best. If you live where you can’t find anything like these types of bread, select a bread that is as made as simple and as natural as possible. Ideally crostini are served when they are still warm from toasting them in the oven. This way you capture the fragrance of the ingredients. Boil about a quart of water in a pot. 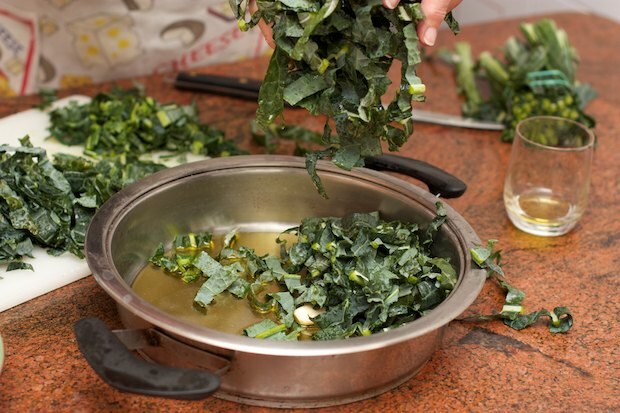 Carefully wash the leaves of the cavolo nero and cut into strips. 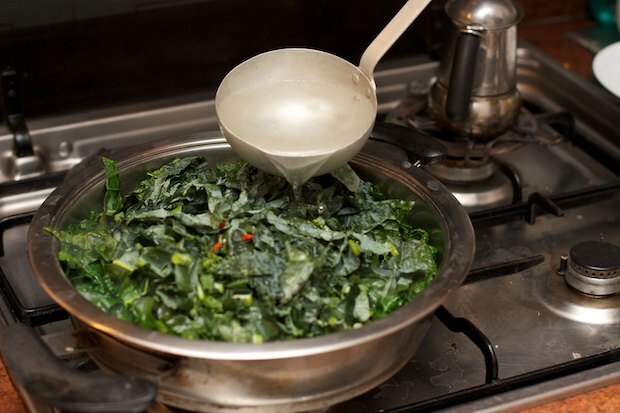 In a large pot, add garlic, olive oil, cavolo nero, and the sliced hot pepper. Turn on the burner and add a ladle of hot water. Continue cooking in covered container for about an hour, adding more water until the cavolo nero is tender. 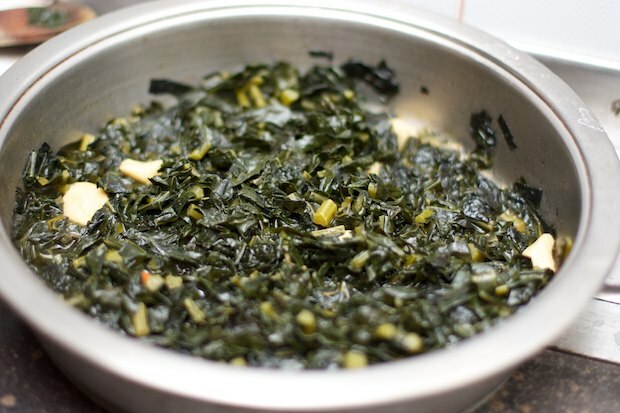 Then uncover and let it rest in the cooking liquid and turn off the heat. Preheat oven to 400°F and when it is hot, toast the bread for 10 minutes. 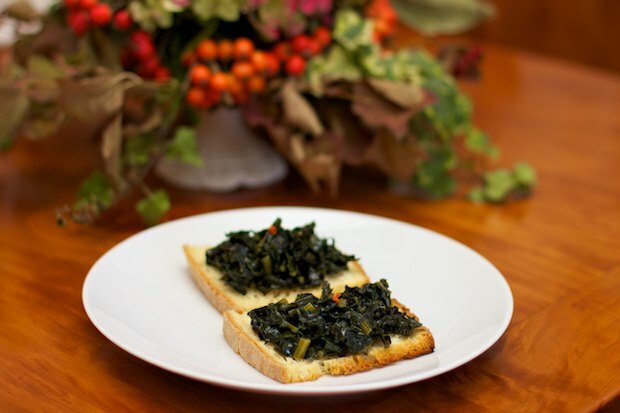 As soon as the toasts are ready, top them with the cavolo nero mixture and serve immediately. Using a mezzaluna chopper, chop the artichokes, parsley, and half a garlic clove together. Put the slices of bread in the oven and toast for 10 minutes. 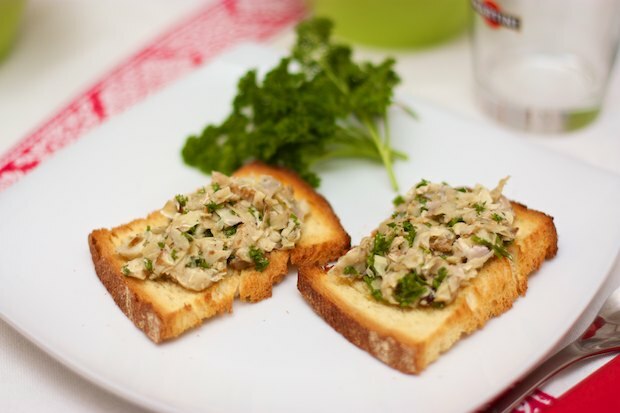 Place the mixture on each crostini and serve immediately. Let the butter soften at room temperature so that you can spread the butter easily. Toast the bread for about 10 minutes in the oven. 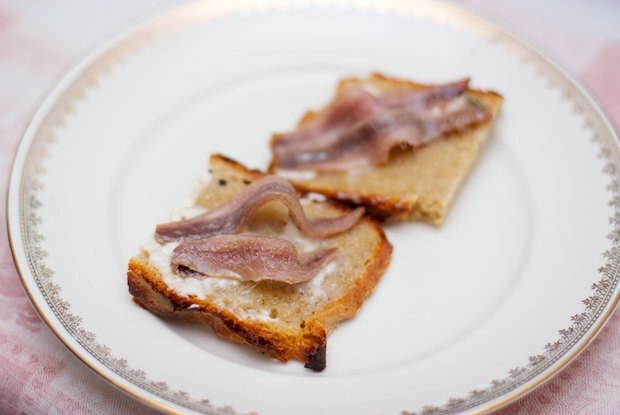 Spread the butter on the hot bread and then place on two anchovy fillets on top. Serve immediately. Posted in Appetizers, Recipes, Vegetables and tagged with Crostini di Orto e di Mare, Crostini from the Garden and the Sea. RSS 2.0 feed.